These are going to be animated characters (think visual novel) and will need to be able to convey certain lines multiple ways. Not much else can be said about the series, but I'm starting small, so there will be more room in the next installment. 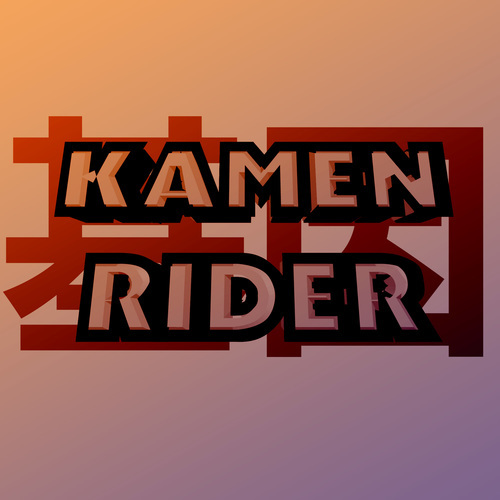 Basically if you've ever wanted to lend your voice to a Kamen Rider episode, we should talk! Selected voice actors will only need to send one final submission of lines, with the possibility of re recording of certain lines or dialogue. Corban is the cool and laid back friend everyone wants to have. He's serious when needed, but mostly still trying to figure out what he wants to do with his life. Think college age, without the hints of a bro. He's very much a leading man. Didn't think you were the type of person who falls asleep in class. Look, I bought last time-- I think. Besides, I'm pretty sure it's your turn to pay! We need to get out of here. When I say go, we run, got it? Looking for someone who can play upbeat and sweet, and at the flip of a dial, sinister and malicious. (Sweet and cute) Sorry I ran into you, you wouldn't happen to know where the university is? (Sinister) You don't understand, you're what brought me here. I've finally found you. COME ON OUT AND FACE ME! I won't let you slink away again this time! Professor role is pretty open, if I find the right voice this character can be changed pretty easily. Think Dr. Connors in the first Spider-man movies for good inspiration. I'm sorry, I can't push back an upcoming quiz because it will benefit you. There are other classmates here too. You're a joy to have in class, and I almost want to fail you, if only to keep you around for another term.